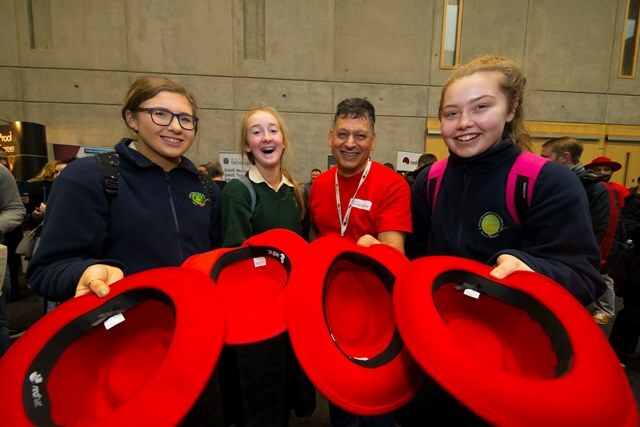 Over 55 companies who are working together as Crystal Valley Tech showcased their rapidly growing industry in the WIT Arena on Thursday 9 November to more than 2,000 members of the public, college and second level students, recruiters, government agencies and other industry. Elaine Fennelly, Bluefin Payment Systems General Manager and co-founder of Crystal Valley Tech is very excited about the industry in the South East and today’s showcase event. “People who work in the industry already know that Tech is well established in the South East and the number of opportunities and companies continues to grow and grow. According to a recent Tech Ireland report there are over 60 indigenous and multinational companies employing well over 1,500 people from their bases in Waterford, Wexford, Kilkenny and Carlow. “However, we weren’t so sure that people in the region realised just how big the ICT industry is becoming and to ensure the industry’s future growth in the South East a group of us came together to form Crystal Valley Tech. Our remit is fairly simple, to create a Tech hub in the South East to which international companies are happy to relocate, indigenous companies and start-ups can thrive. Part of that is showcasing just how vibrant the industry already is to college and second level students which is what today is all about. The 50 exhibitors included Bluefin Payment Systems, Sun Life Financial, Routematch, Red Hat, TSSG, Nearform and many more. Throughout the morning, each company had information booths to discuss career opportunities with recruiters and students as well as demonstrations of their exciting new technologies. A major feature of the event was the great line-up of speakers from different local companies. James Mernin from Red Hat opened the event speaking about Red Hat in Waterford, Mick O'Brien from Routematch’s talk was entitled ‘Born, bred, educated & returned for Success in CVT Region’, Bank of Ireland’s Adrian Mullet talked about BOI in the Tech sector in Ireland and Richard Roger from Metsitaba spoke about creating a start-up company. A full list of the 17 speakers can be found on www.wit.ie/ictday. The Tech and ICT industry in the South East is large and vibrant, offering rewarding careers in exciting technology companies to computing, electronics and business graduates and to anyone interested in an exciting career change without leaving Ireland’s sunny South East. Crystal Valley Tech, which is supported by over 50 tech companies in the South East, has a mission is to promote and support Tech in Waterford and the South East. Crystal Valley Tech has the full support and membership of Enterprise Ireland, IDA Ireland, Waterford Chamber of Commerce. More infromation at www.crystalvalley.io.